Most parties have a few staples that everyone loves to make and seven layer taco dip is always on that list BUT I have a mini hate for everyone dipping their chips in one dip. 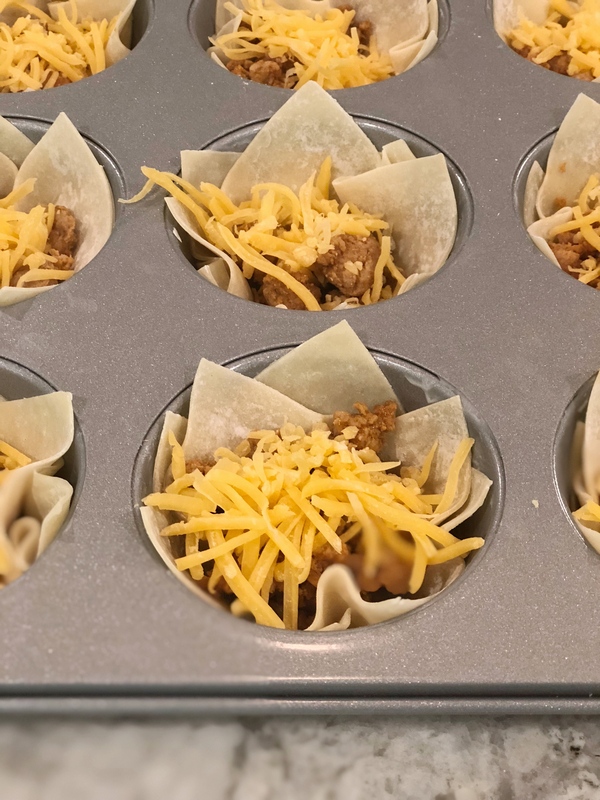 I came up with an easy solution- seven layer taco wonton bites! You get all the goodies of a seven layer dip in one little bite. These only take 20 min to make and I promise these will be a hit at every party! Make your ground turkey with taco seasoning like usual, then set aside to cool. Spray your muffin tin and place 2 wontons in each tin alternating the direction of each. Add 1 tablespoon of meat, top with shredded cheese and then pop in the oven for 10-12 min. Your wontons should be crispy! After they are cooked you can top with beans, guac, sour cream, salsa and pepperchinis! I think it’s easiest to use the DIY piping bag (a ziplock bag with the corner cut for the, beans, guac, sour cream and salsa.). If I could make one final suggestion it would be to add a margarita at your party but that is just my drink of choice! 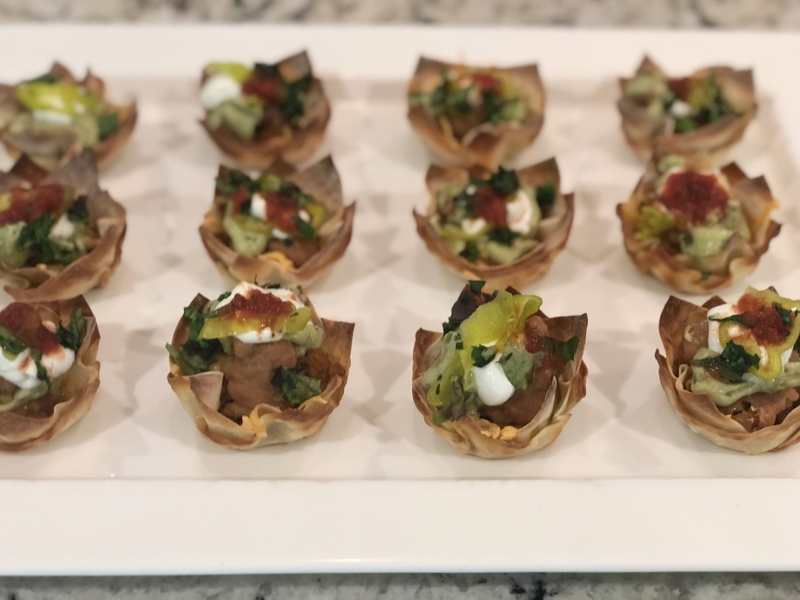 Would love to hear how your party went and if your friends loved your new twist on the seven layer dip! 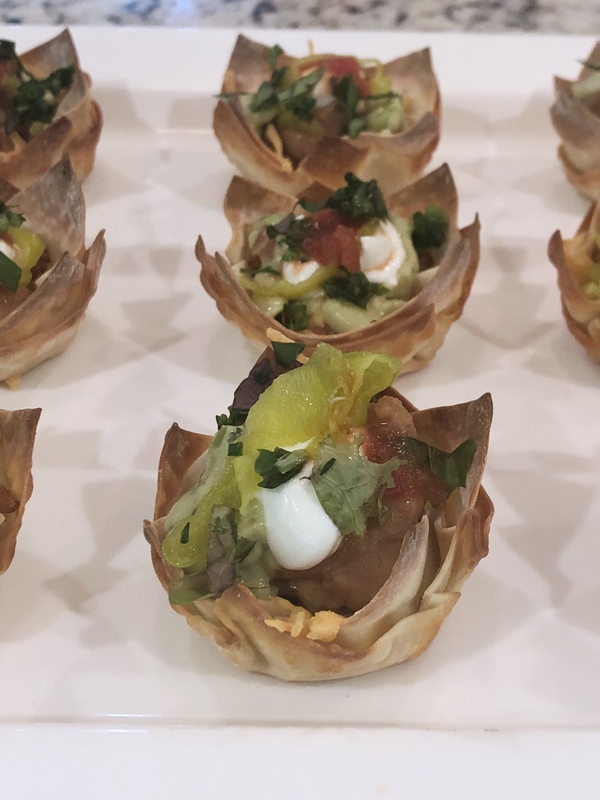 Need another appetizer for your next party…. The seven layer wonton appetizer was Amazing! I made this for dinner last night with enchiladas, (non-alcoholic) margaritas for the kids and margaritas for us! I’m trying the feta dip next! Thanks for sharing recipe! thanks so much for trying them out, we are so happy you loved them! 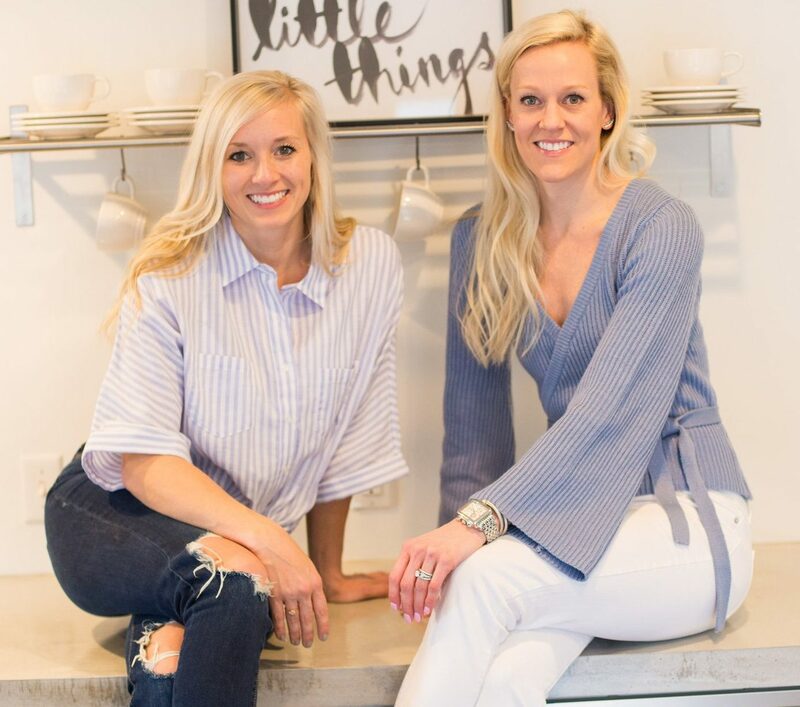 You know we are all about the margs too! Oh yum, I’ve never seen something like this before. These would make such awesome (and fancy!) appetizers.